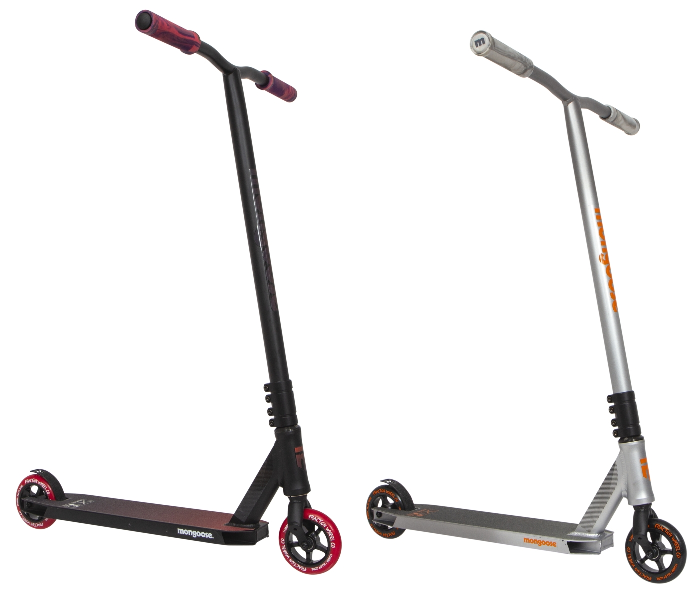 The Sentinel is Slamm’s ultimate bang for buck scooter! 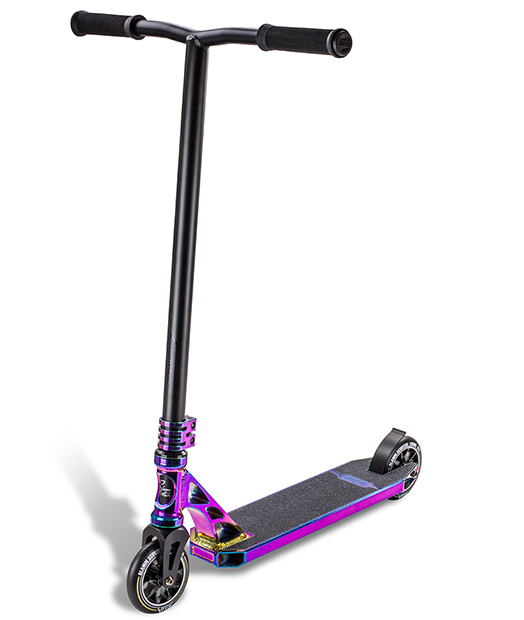 Fully equipped with a NECO integrated sealed headset and IHC system, surrounded in a stunning lightweight, polished NeoChrome deck and complimented with the best-selling Slamm NeoChrome double bolt Vice clamp, this is Slamm’s most eye-catching model. 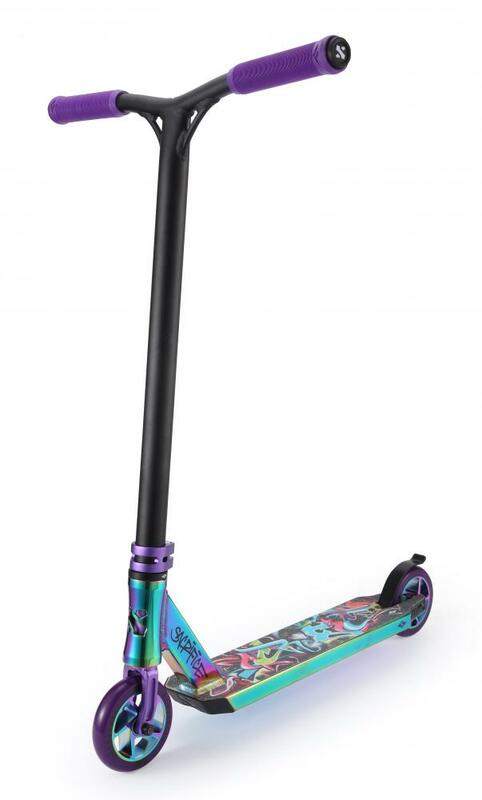 The Sentinel also has their strongest and biggest bars to date; 21” x 23” made of chromoly steel, fitted with their new Pro Grips and impact resistant bar ends. 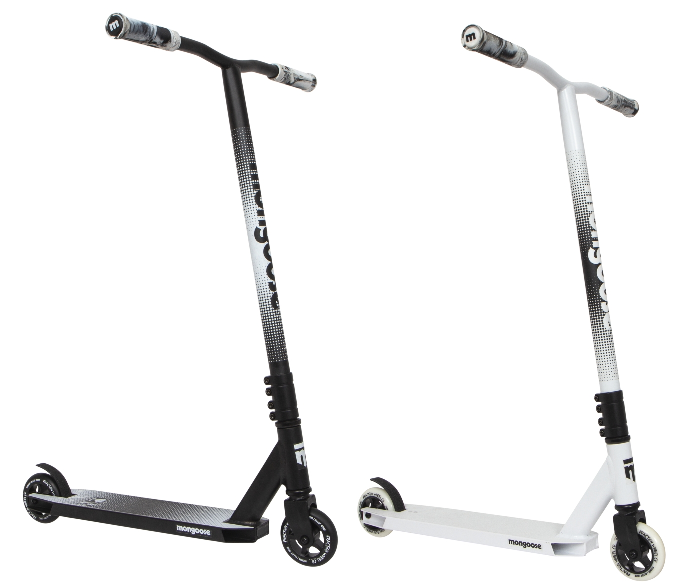 Slamm’s entry level model is developed to meet the requirements of the younger rider; low strengthened 19.5” x 19.75” bars, a lightened full size 4.2” x 18.8” Deck and 100mm wheels. 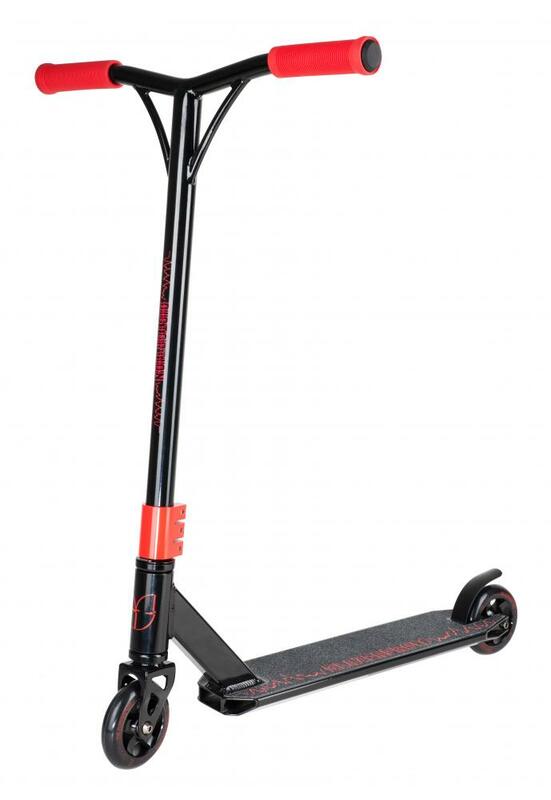 Best part is the deck and forks are ready to accept 110mm wheels, bolt on a bigger bar and it’s ready to grow with the rider! 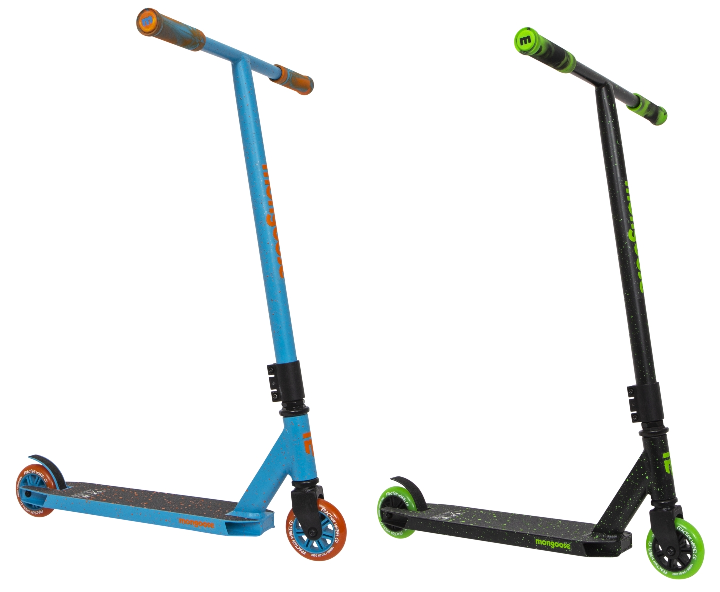 Continuing on the durability of its predecessor, we have upgraded to a fully integrated, sealed threadless headset and HIC system. 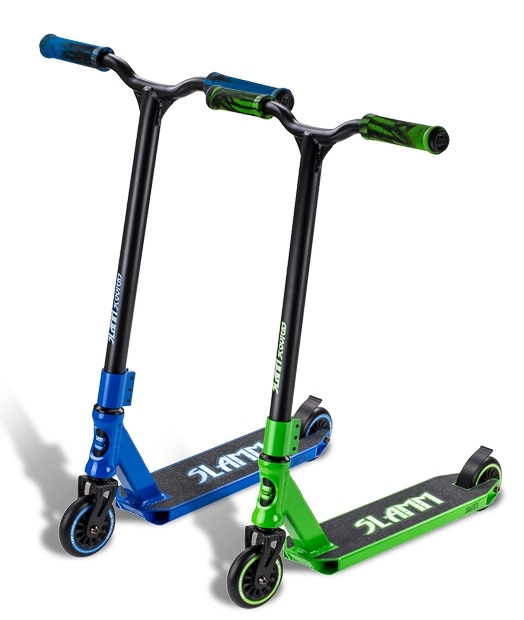 The Slamm Assault III has been redesigned in two awesome colourways, taking the robust elements from its predecessor and adding serious upgrades, including the fully integrated NECO sealed headset and IHC system as standard, making this scooter one of the biggest contenders in the market. 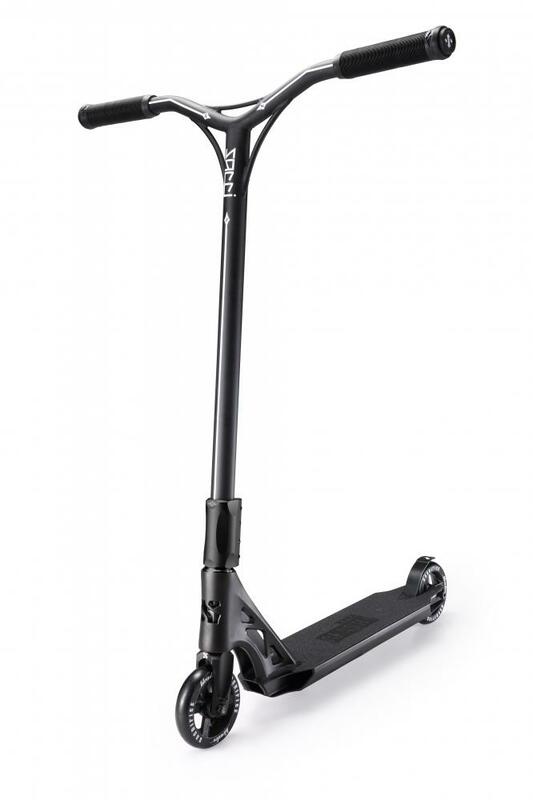 Slamm’s threadless extruded forks, lightened box channel deck, reinforced steel dipped Y-Bars with Pro Grips with impact resistant bar ends provide a ride not only with increased strength, but also massive performance enhancements. 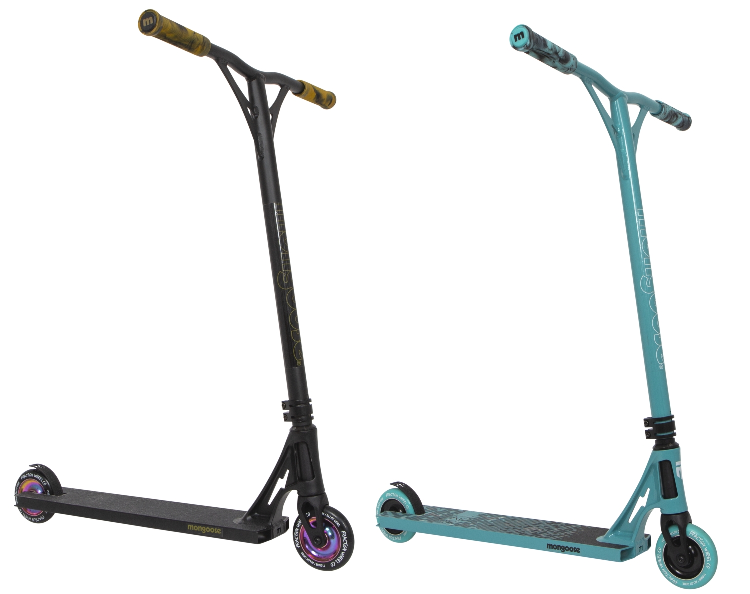 The lightened NeoChrome Vice clamp and signature NeoChrome 110mm V-Ten II HR 88A SHR PU wheels put the final touches on the most popular series to date, designed for the more serious rider. 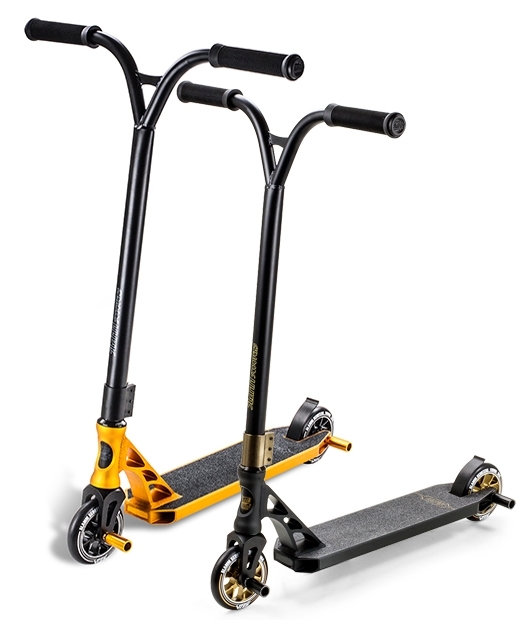 This gold Special Edition Urban VII Extreme is the latest super charged addition to the Urban series! 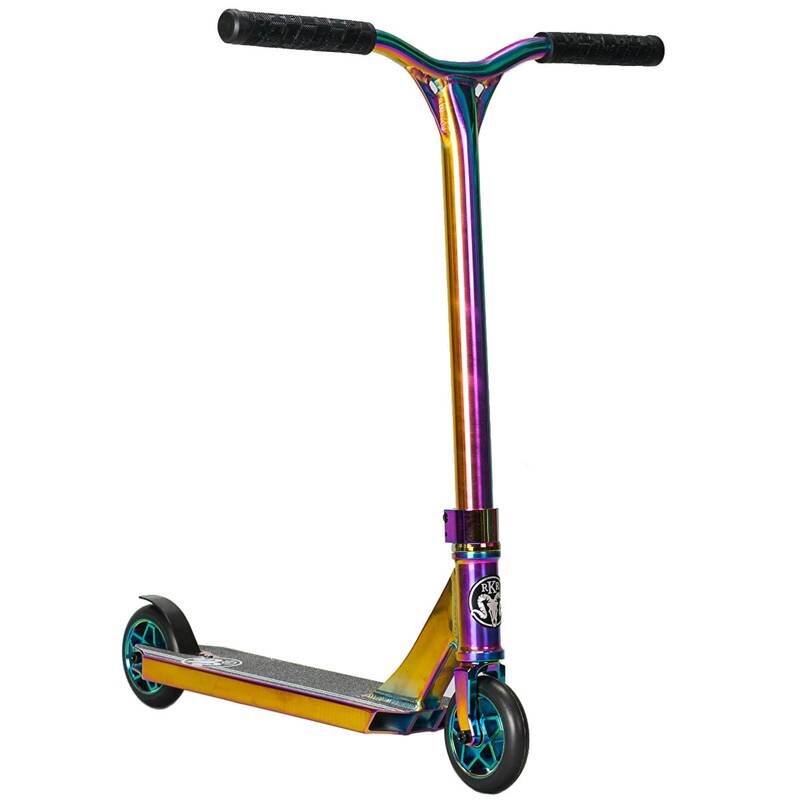 Fitted with the new fully integrated NECO sealed headset and IHC system as standard in addition to boasting a custom anodised sand blasted deck finished to the highest standard, emitting a unique golden glow alongside the colour coded gold Slamm Cylinder stunt pegs! 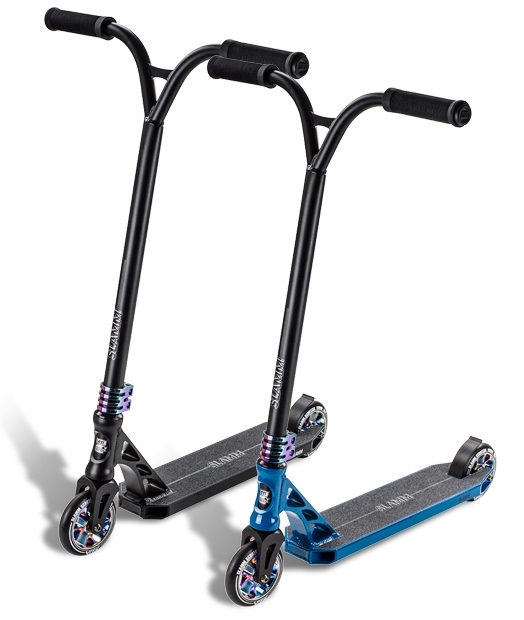 The Urban VII also features extruded threadless forks, reinforced steel dipped Y-Bars and Pro Grips with impact resistant bar ends, rolling on our signature 110mm V-Ten II alloy core wheels. 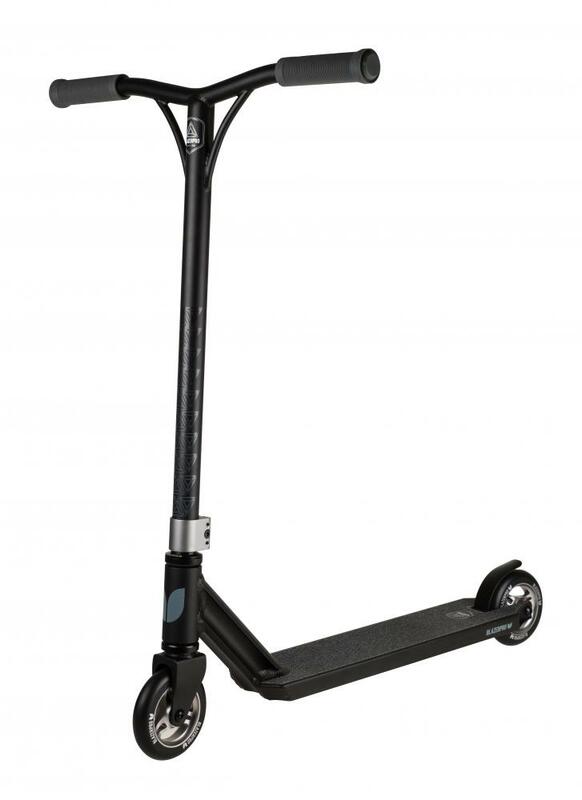 Wheels: Chopsticks by Eagle Supply Sushi Rolls 110mm / 24mm wide / 7 Spoke. 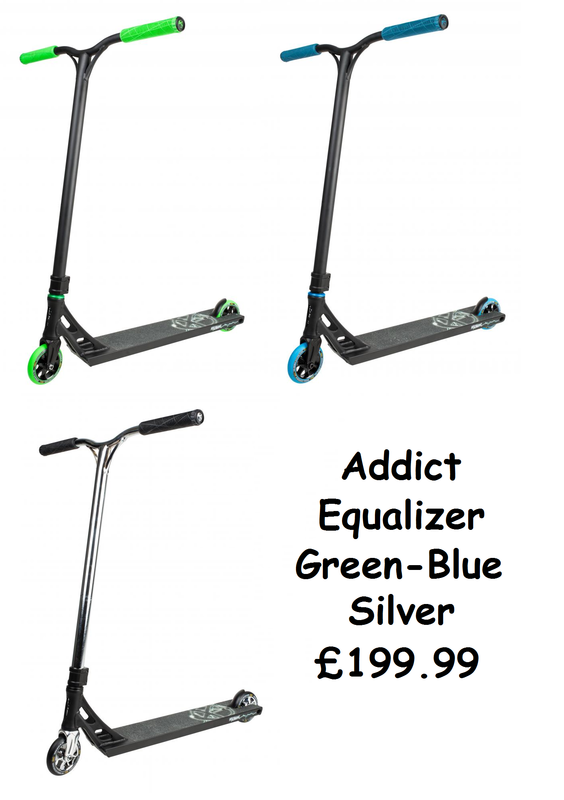 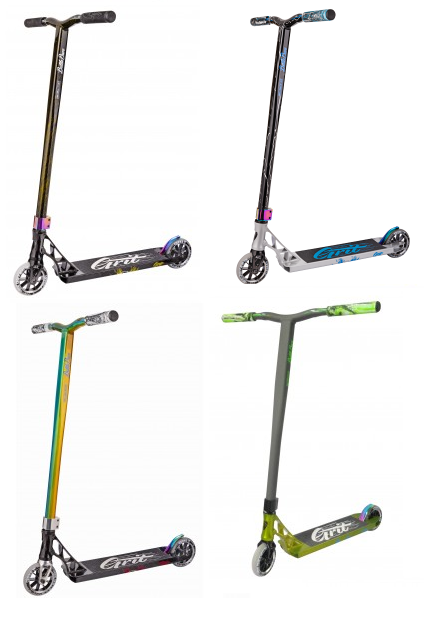 Our Full range of Stunt Scooters is available in store. 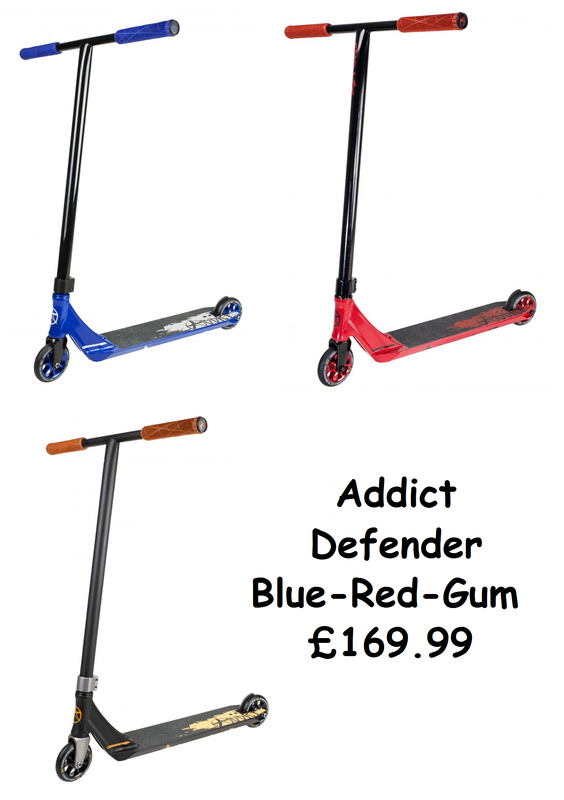 For more information call us on 0191 5678 310 darkcycles@btconnect.com.